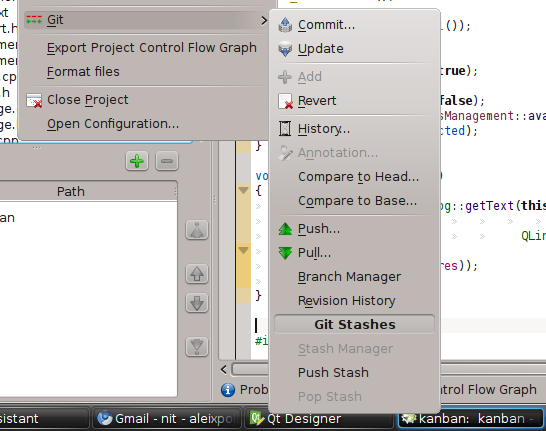 KDE is moving to Git, Qt did a while ago, like many other free software project did before. 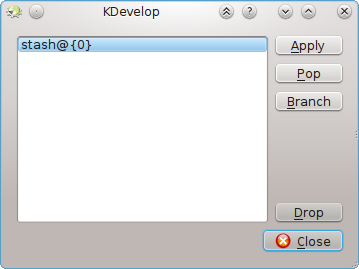 I’m sure you would expect your favorite IDE to properly integrate with your Free Software projects seemlessly, well from the upcoming KDevelop 4.1 version you’re going to find them supported by default. So, what kind of integration do we provide? – Same integration we get from Centralized VCS’s, such as commiting, checking for differences, moving, copying, etc. 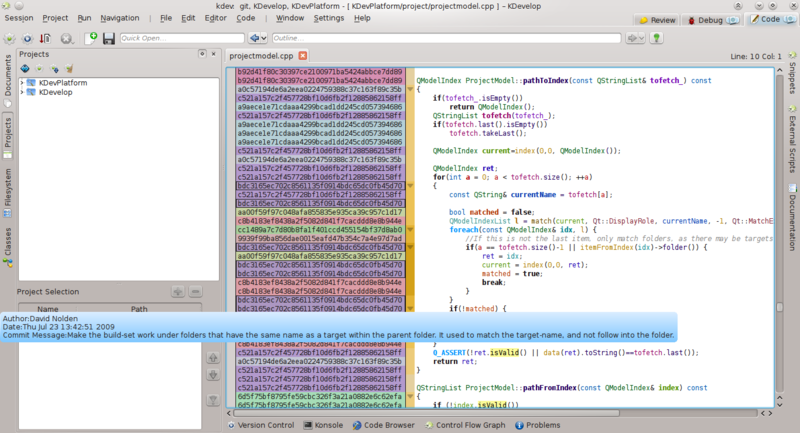 Which is already a huge step forward when it comes to the KDevelop experience. – Also we support some distributed or git specific features. We can Push/Pull, Branch management and Stash management. I hope that you will be able to take advantage of the new features we are providing now and in the future from it. 🙂 And of course, if you have any question remember we have a mailing list and an IRC channel to get to us! Great! 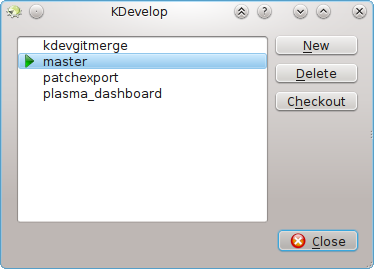 Even though iirc this was possible via a plugin, this is exactly what was still missing from KDevelop itself to make it the killer app for Git projects specifically. Amazing, thanks! @1: Yes, I worked on that external plugin to make it usable and we moved it into our official release. 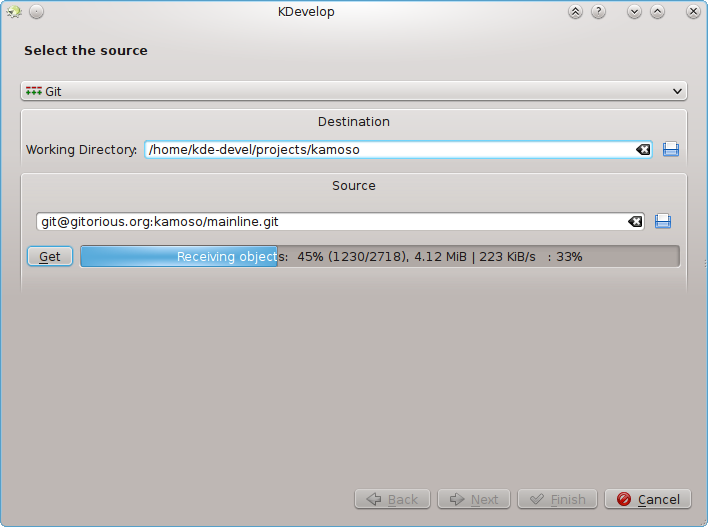 Sad that we have to wait until KDE 4.1. Thanks for your work anyway, we really need it!